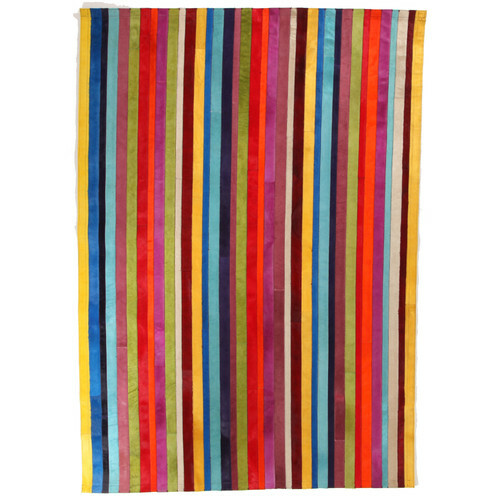 Inject colour into your home with this fabulous rug, which features hand-stitched stripes in a myriad of hues. The beautiful leather is silky underfoot, and it instantly adds warmth to any space. Natural material, keeps rug looking fresh for longer, naturally beautiful, naturally non-allergenic, fire resistant, durable, eco-friendly and sustainable material, anti-mould, great for noise insulation, creates a warm and comfortable environment. There will be slight variations in appearance, colour, tone, markings and pattern. There may also be small lines (scars) or other markings on a natural hide. These variations are not faults or defects, they are a part of the unique charm of a natural hide product. 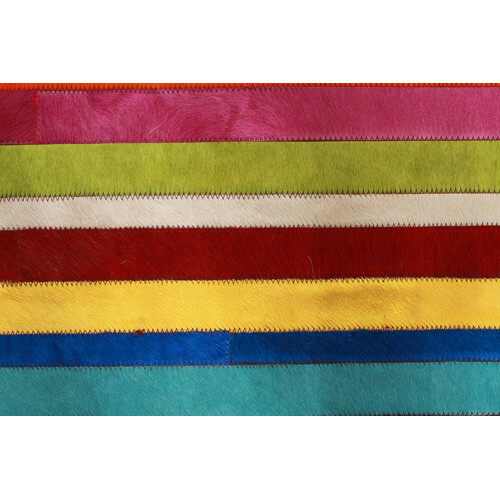 The Marta Rainbow Spanish Cowhide Rug is a Contemporary style product. Contemporary style bridges the gap between traditional and modern. Pieces feature simple and clean lines with smooth surfaces without any carving or adornment. You can shop for more Contemporary Rugs in the Rugs section of our site. 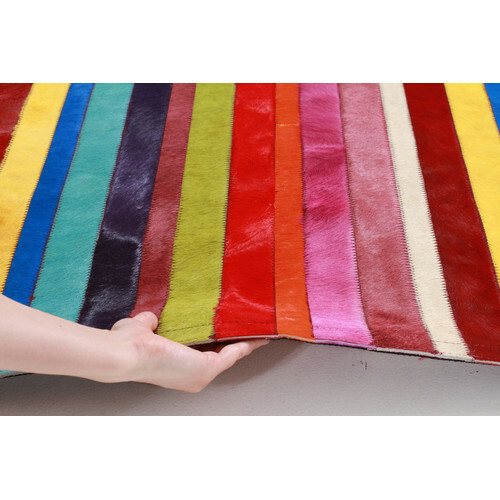 When you buy a Marta Rainbow Spanish Cowhide Rug online from Temple & Webster in Australia, we make it as easy as possible for you to find out when your product will be delivered to your home in Melbourne, Sydney or any major city. You can check on a delivery estimate for the Network Part #: SC-RAINBOW-230X160 / SC-RAINBOW-300X200 here. If you have any questions about your purchase or any other Rugs product for sale our customer service representatives are available to help.Whether you just want to buy a Marta Rainbow Spanish Cowhide Rug or shop for your entire home, Temple & Webster has a zillion things home.